Cerebrospinal fluid (CSF) leakage is a complication of intradural spinal surgery and is associated with poor wound healing and infection. The incidence of CSF leak is reported at ∼16 % in adults, but little information is available in children. 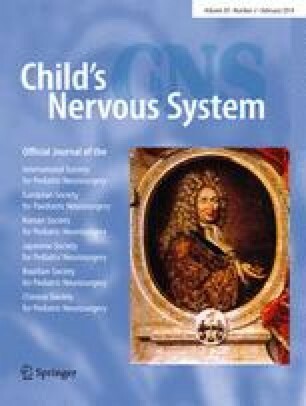 The aim of this study is to determine the CSF leak rate and predisposing factors after intradural pediatric spinal surgeries. This study was a retrospective chart review of 638 intradural spinal operations at BC Children’s Hospital. CSF leak was defined as pseudomeningocele or CSF leak through incision. Primary operations to untether lipomyelomeningoceles, myelomeningocele/meningocele closure, and Chiari decompressions were excluded. CSF leaks occurred in 7.1 %, with 3 % having overt CSF leaks through skin (OCSF leak). CSF leaks, specifically OCSF leaks, were associated with postoperative wound infection (P = 0.0016). Sixteen of 45 cases of CSF leak required reoperation. The type of dural suture used, site of operation, or use of fibrin glue did not affect CSF leak rates. Previous spinal surgery (P < 0.0001), use of dural graft (P = 0.0043), method of dural suturing (P = 0.0023), and procedure performed (P < 0.001) were associated with postoperative CSF leakage. Patients with CSF leak were older than those without leak (98 vs. 72 months, P = 0.002). Our results provide evidence on intraoperative factors that may predispose to CSF leaks after spinal intradural surgery and may help guide surgical practice. This study confirms that the pediatric population shares many of the same risk factors for CSF leak as in adult populations. Further research is needed to explain how specific factors are associated with CSF leaks. The authors have no personal financial or institutional interest in any of the drugs, materials, or devices described in this article. Victor Liu was supported by a summer studentship from Child and Family Research Institute. Ethics for this study was approved by BC Children’s Hospital.